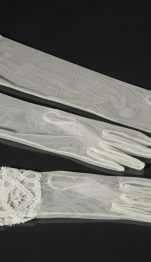 Elastic tulle gloves with macrame lace. Set with veil ref. 2929.